Thirsty Pilgrim: How to Avoid Beers Made from Cactus and Quinua. 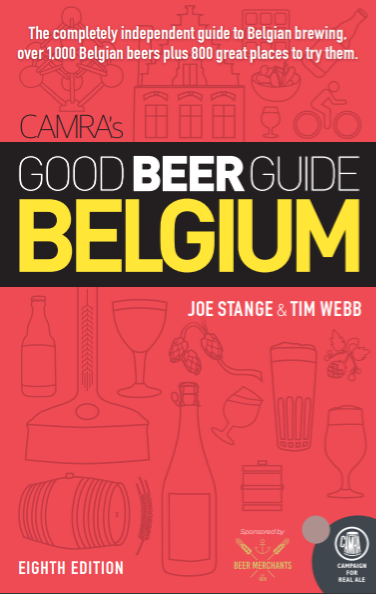 A couple of years ago two friends of mine approached Belgian Beer Weekend on the Grand Place with a perverse idea: a competition to see who can find the absolute worst beer at the fest. After a few trials they arrived at Huyghe's Mongozo Coconut. There was no need to go further. The unique blend of sugar syrup, alcohol and suntan lotion had brought the contest to an end. But let's say you want to approach this weekend's fest with a curiosity that's less scientific, more hedonistic. You actually want to try some good beer – preferably stuff you can't find in a Belgian grocery store – and annoy your friends by consistently picking better ones than they do. I can help. Or at least I can cut through the noise on this prolific beer list. Bear in mind that your tastes and your own, so own them. No refunds, no guarantees. Beer to start with while you make your drinking plan: Easy. Saison Dupont, on draft. Breweries to try if you've never tried them: Dupont, Verhaeghe, St. Bernardus, Boon, Bavik and De Landtsheer. In that order I think. Trappist breweries: Achel and Westvleteren, since they're all nice but the other four are widely available. Bockor Foederbier: I've never seen this anywhere. Could be an unblended version of the Bellegems Bruin, a red Flemish sour in the vein of Rodenbach. The word "Foederbier" suggests it's straight from the barrel. Possibly, maybe connected to the Grand Cru Rouge that Bockor made for Ommegang in New York (and thus for Duvel Moortgat). Chapeau Cuvée: De Troch makes a lot of dumb, commercial fruit beers. But they also make this apparently authentic and interesting gueuze. The St. Louis Gueuze Fond Tradition from Van Honsebrouck is a similar exception. Besides the two Boon gueuzes those are the only serious ones on the list. If none of those float your boat, well, we can't be friends. In that case I suggest the Floris Cactus. Hey, I also nominated Mongozo coconut beer as the worst beer in the world. I like your description.